The British do Weird things with their Passports! British travellers are renowned to be of the most experienced and wide reaching in the world today, which is a legacy that goes back to its former empire! That said, its even more strange that in recent times the Brits have been seeking replacements for their passports at a staggering rate and the reasons why seem to defy logic. 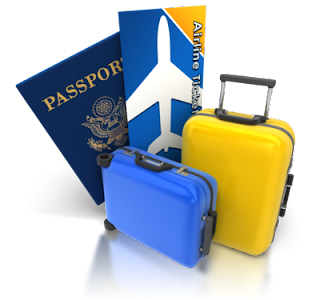 According to the British Government, claims for emergency travel documents sharply jumped 300% in 2012. Storing a passport in the freezer. Using their passport as a coaster for Beer at a Pub somewhere. Getting a replacement passport can cost both time and money, especially if it involves canceling flights as one waits! A British man had his passport tattooed onto his back during a backpacking trip to Australia. Surprisingly, this form of skin art was actually accepted as ID. Upon running out of money, the man managed to withdraw cash from an Aussie bank after removing his shirt to flash the teller his unusual passport. A Canadian man managed to get into the United States using just an i-pad. He journeyed several hours from his hometown in Montreal, then realized his passport was not with him as he approached the U.S. border. Taking a chance, he whipped out his i-pad which held a scanned copy of his passport and amazingly, the official let him through. A British girl aged 9 actually managed to get through Turkish Immigration after accidentally handing over a fake Passport that belonged to her stuffed Unicorn. Oblivious officials even stamped the toy Passport as they waved her into the country!